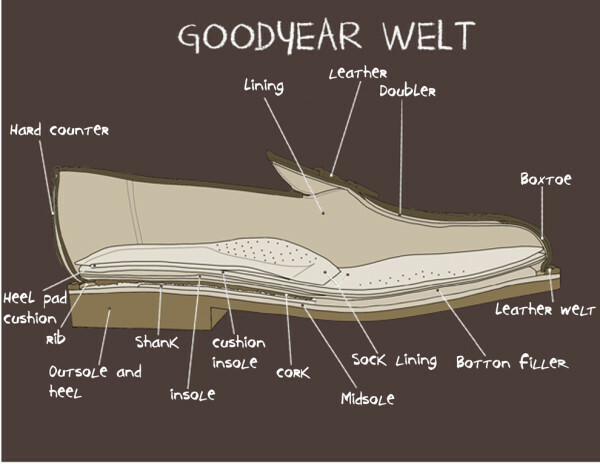 (Wcsa.world) A Goodyear welt is a strip of leather, rubber, or plastic that runs along the perimeter of a shoe outsole. 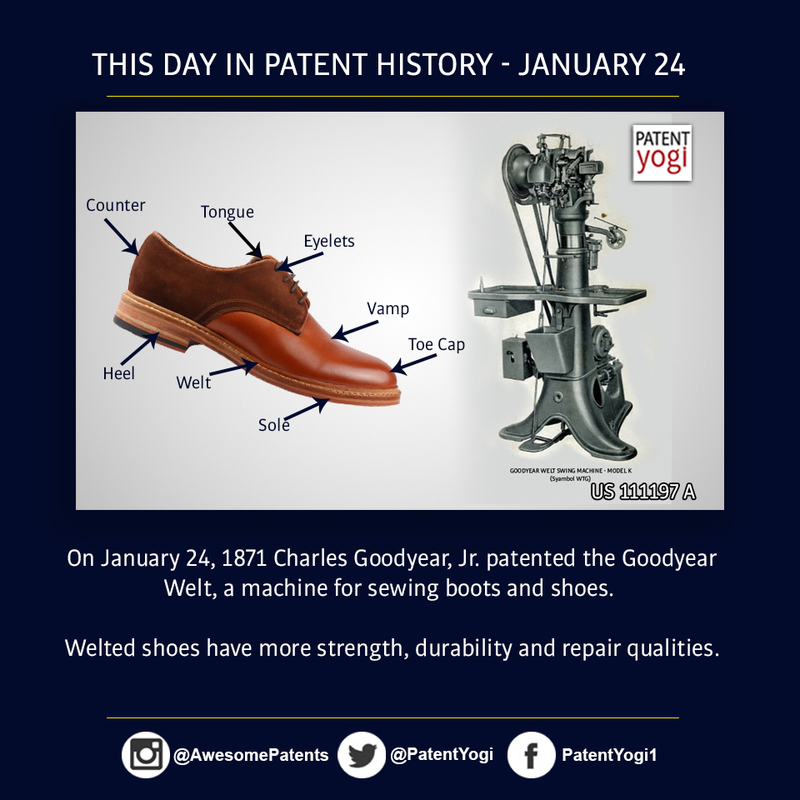 The machinery used for the process was invented in 1869 by Charles Goodyear Jr., the son of Charles Goodyear. "Goodyear welt construction" involves stitching a welt to the upper and a strip of preformed canvas like a "rib" that runs all around and bottom (known as "gemming") cemented to the insole of a shoe as an attach-point for the out sole or midsole (depending on the Goodyear welt variant). The space enclosed by the welt is then filled with cork or some other filler material (usually either porous or perforated, for breathability), and the outsole is both cemented and stitched to the welt. Shoes with other types of construction may also have welts. 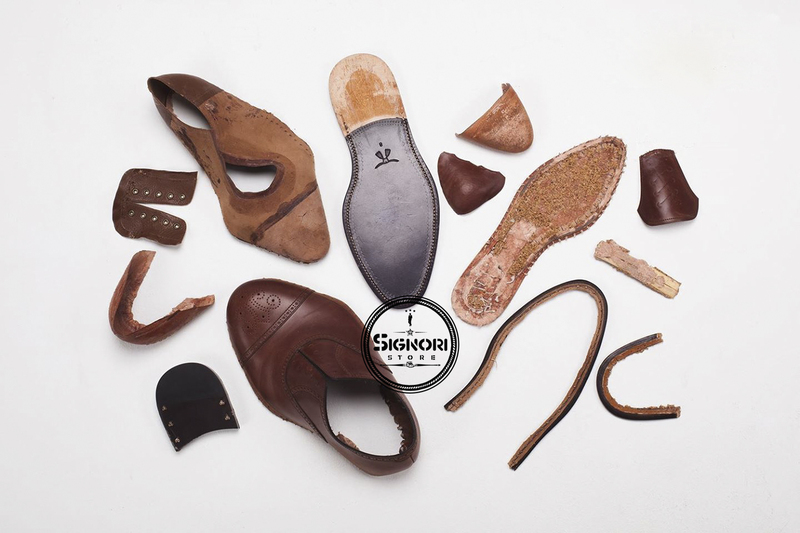 The Goodyear welt process is a machine-based alternative to the traditional hand-welted method (c. 1500) for the manufacture of men's shoes, allowing them to be resoled repeatedly.